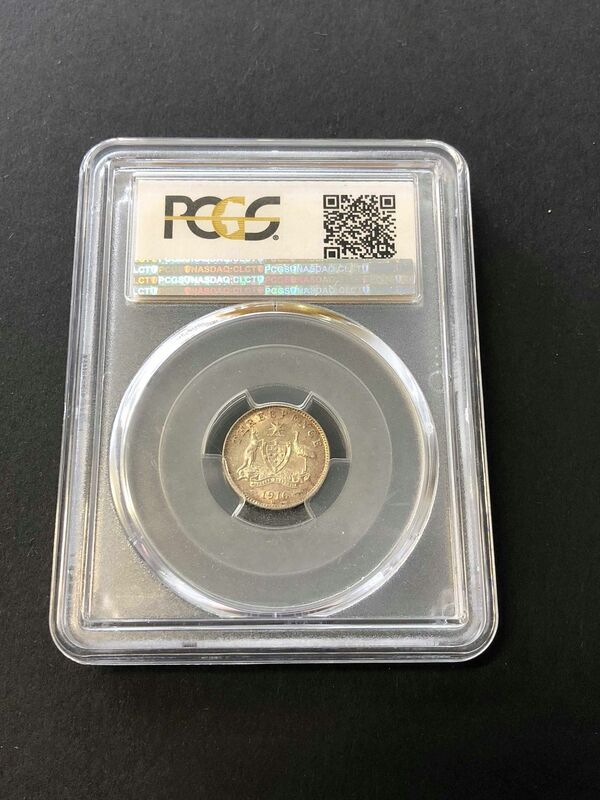 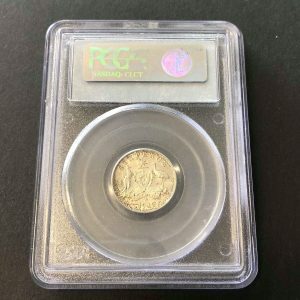 A PCGS-certified 1916 ‘M’ threepence, graded by PCGS at About Uncirculated (AU55). 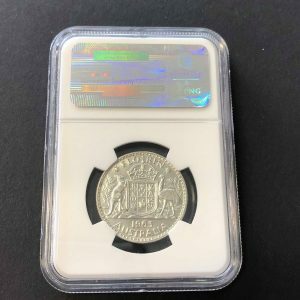 High catalogue value ($650)! 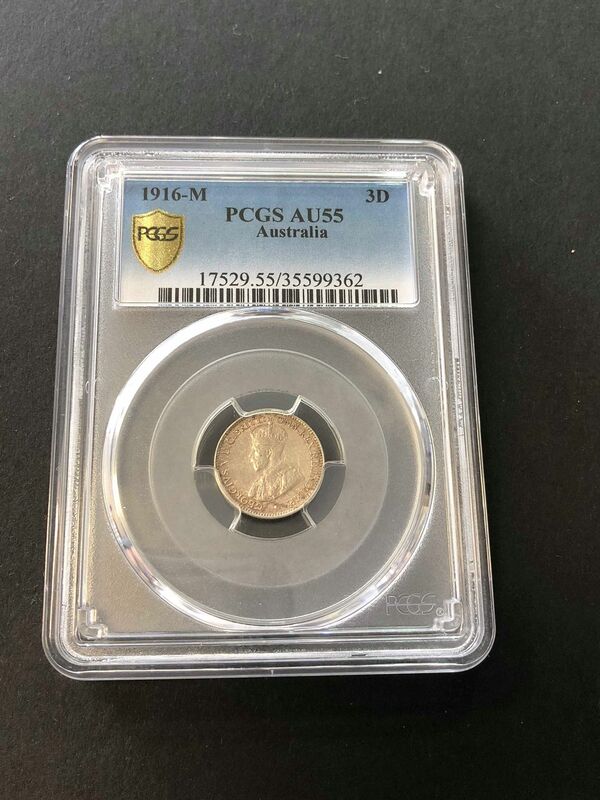 A nice natural 1916 Melbourne mint threepence, graded by PCGS at About Uncirculated (AU55). 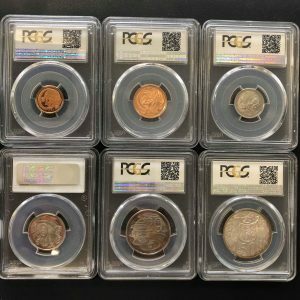 Early pre-decimal coins are hard to get in high grades such as this. 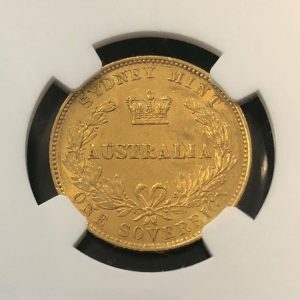 High catalogue value, $650 (Renniks catalogue, 27th edition).